Domonica Beach Resort is our go-to place for that relaxing weekend with a bunch of good friends. Light on the pocket with no rules and regulations, you are free to do what you wish to over here. 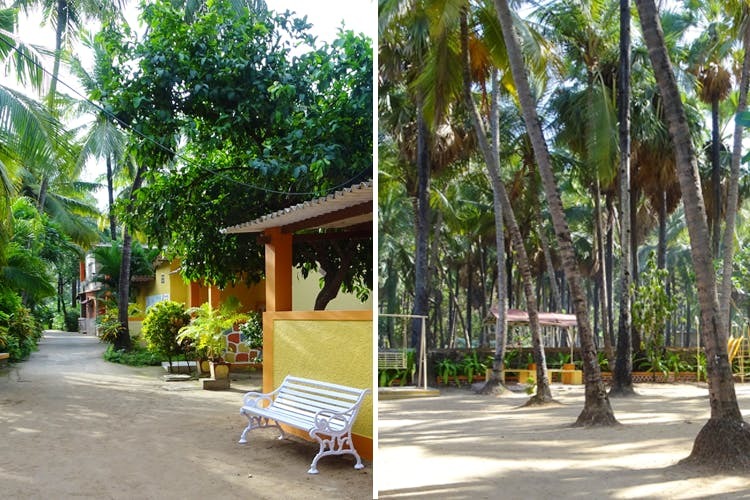 Situated in Manori Island, this beach accessible by road from Mira Road or by a ferry from Malad’s Marve Beach. It’s literally just a five-minute ferry ride from Marve Beach to Manori Island, and you can hop an auto rickshaw to reach the place which is only 10 minutes from the pier. It’s your party-under-the-moon and party-till-the-sun-rises kind of a place, where the management allows you to play music to your hearts content and one can play all kinds of sports. The best thing about this place is that it is divided from beach by just a wall, so you can go to the beach even late in the night and enjoy the moon light and the sound of the waves. Beware of dogs late in the night. You can go there any time of the year, but we’d say avoid the monsoons as the roads are bad and also the ferry service is affected. Add to it the mosquito menace. The accommodation is cheap. It’s a BYOB place, so you got to figure out only the food, which is very good and reasonably priced. They take orders for food till 10pm only, so make sure you carry your favourite snack for the late night hunger pangs. Call on +91 9821998470 for more details and reservations.